Farris, Riley & Pitt, LLP represents clients who have suffered injuries after taking the blood pressure medication Valsartan. When patients and consumers are hurt by the drugs they expect to make them feel better, our aggressive and experienced trial attorneys are there to take Big Pharma to task for their negligence. For more than 20 years, Farris, Riley & Pitt, LLP has been helping injury victims in Birmingham and surrounding areas of Jefferson County. We are committed to getting justice for those harmed by the negligence of other parties. If you have suffered a severe injury or your loved one died after using a drug containing valsartan, you should quickly retain legal counsel. Farris, Riley & Pitt, LLP has been fighting for injury victims for over two decades. Call (205) 324-1212 or fill out an online contact form to have our lawyers review your case and help you understand all of your legal options during a free consultation. On July 13, 2018, the United States Food and Drug Administration (FDA) alerted healthcare professionals and patients of a voluntary recall of several drug products containing the active ingredient valsartan. The FDA’s recall is due to the unexpected presence of an impurity found in the recalled products called N-nitrosodimethylamine (NDMA), which the FDA has classified as a probable human carcinogen. Common side effects of valsartan, originally sold by Novartis under the trade name Diovan, include heart failure and hypertension. Why Do I Need a Valsartan Lawyer? If you have been diagnosed with liver, colorectal, kidney, or bladder cancer, you should not wait to contact an attorney. An attorney will conduct their own independent investigation into your injuries and review your use of valsartan and collect the evidence necessary to connect that drug use to your injuries. Do not think that you cannot afford an attorney. Farris, Riley & Pitt, LLP provides legal representation on a contingency fee basis, so you pay nothing until you receive a financial award. The record of success for Farris, Riley & Pitt, LLP includes several multimillion-dollar verdicts and settlements. Kirby Farris and Ken Riley were born and raised in Alabama, and both lawyers are Birmingham residents who have been helping Alabama residents for over 20 years. Mr. Farris is a native of Lynn who obtained his undergraduate degree from the University of North Alabama and his law degree from Birmingham School of Law. 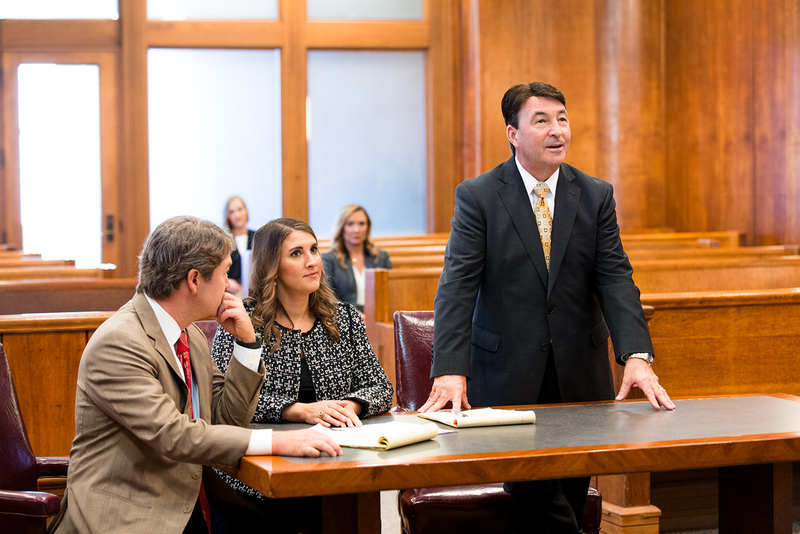 Mr. Riley was born and raised in Alexander City, earned his business degree at the University of Alabama, and received his Juris Doctor from the Cumberland School of Law at Samford University. Mr. Farris and Mr. Riley both admitted to the United States District Court for the Northern District of Alabama, United States District Court for the Middle District of Alabama, and United States District Court for the Southern District of Alabama as well as the Alabama Supreme Court and state courts throughout Alabama. They are both members of the Birmingham Bar Association, Alabama Bar Association, and American Bar Association. Farris, Riley & Pitt, LLP will not be intimidated by major pharmaceutical companies. Our firm has experience taking on companies of all sizes and helping people achieve the most favorable outcomes to their cases. Farris, Riley & Pitt, LLP is currently accepting valsartan cases where the patient has been subsequently diagnosed with liver, colorectal, kidney, or bladder cancer. Many valsartan actions are claims against drug manufacturers, but doctors or other medical care providers could also be liable if they prescribed valsartan to a patient when there were clear risks to using a drug containing valsartan. How long do I have to file a valsartan claim? Alabama Code § 6-2-38 establishes a statute of limitations of two years for a person to file a dangerous drug action. While the limitations period usually begins on the date a person knows or should have known about their injury, several drug manufacturers try to have claims time-barred by arguing that the limitations period actually began when the company or the FDA issued an updated warning about valsartan. Other states’ statute of limitations will vary. An experienced attorney will be aware of the applicable statute for your case. What kinds of compensation might I be entitled to? Most manufacturers will prefer to resolve cases through settlements rather than risk the high costs of taking a case to trial and possibly facing a monetary judgment in addition to those costs. A settlement is usually intended to cover all of a victim’s past, present, and future expenses. When a case does go to trial, a jury could award a victim compensatory and punitive damages. Compensatory damages are usually a combination of economic damages and noneconomic damages. Economic damages apply to expenses that can be calculated and proven, such as medical bills and lost wages. Noneconomic damages are awards for more subjective types of harm such as pain and suffering or loss of consortium. In a limited number of cases where it is proven by clear and convincing evidence that the defendant consciously or deliberately engaged in oppression, fraud, wantonness, or malice, you could also be awarded punitive damages. The FDA Adverse Event Reporting System (FAERS) Public Dashboard is a tool that provides information related to human adverse events reported to the FDA by the pharmaceutical industry, healthcare providers and consumers. FAERS data shows the 1,257 valsartan cases received in 2018 were the lowest in 10 years. A total of 21,994 valsartan cases have been received by the FDA since 1997, according to FAERS. Of these cases, 19,922 were serious cases that included death and 2,916 were death cases specifically. Did you or your loved one suffer serious injuries or were you diagnosed with cancer after using valsartan? You could be entitled to compensation for your injuries. At Farris, Riley & Pitt, LLP, we understand the seriousness and the far-reaching impact that medical injury cases have on individuals and their families. Our team of attorneys have the skill, experience, and resources to properly investigate these cases and pursue them to the fullest extent necessary. We not only want to get our clients the full compensation they deserve, we also want pharmaceutical companies to make changes so that no one else has to suffer. Farris, Riley & Pitt, LLP represents clients who have taken valsartan. You can have our lawyers provide a complete evaluation of your case as soon as you call (205) 324-1212 or contact us online to set up a free consultation.